Friday evening started with Christmas decorations and quiet streets, but the bars were making noise. 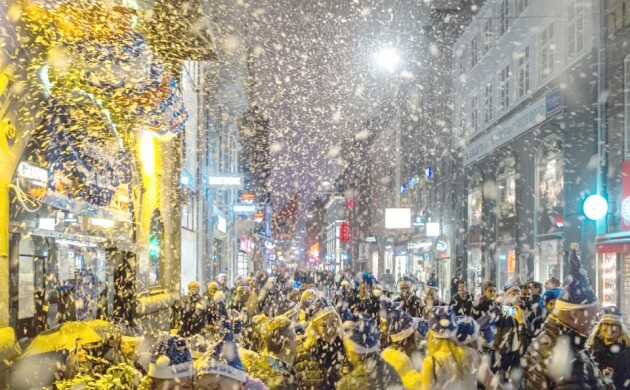 People were drinking their way towards the julebryg launch, like the free beer wouldn’t be enough. At exactly 20:59, the first snow fell (above). Everyone toasted and shouted: Happy J-dag! 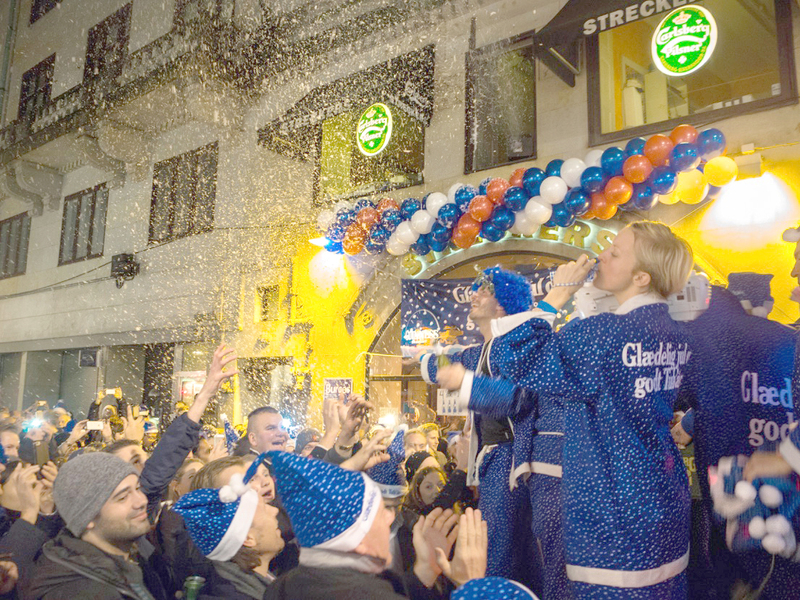 The streets were suddenly covered in blue elves giving away hats, free beer and joy. It was like Santa Beer was in town. People followed the different trucks to see which freaky costumes they came out with and – of course – to get as much free beer possible. Drag queens mingled with butchers (above). They sure kept it merry!